Raiseboring has gained worldwide acceptance as a preferred method for constructing ventilation and hoisting shafts, ore passes and hydroelectric penstocks. Despite the industry’s favorable opinion of the technique, a quick Google search of the term “raisebore” won’t return much in terms of the actual process, best practices, or components. Having access to this type of information can make all the difference when deciding on which methods to use in your operation. Generally, the process begins by pouring a cement pad to provide a level and strong platform for the raisebore drill to sit upon. Once the machine is in a stable location, the operator will drill a pilot hole from the top (where the drill is located) to the bottom (where the breakout location of the hole will be). After the pilot hole is drilled, rods are extended down so that the drill head can be removed and the reamer head, which is larger in diameter, is attached and raised. 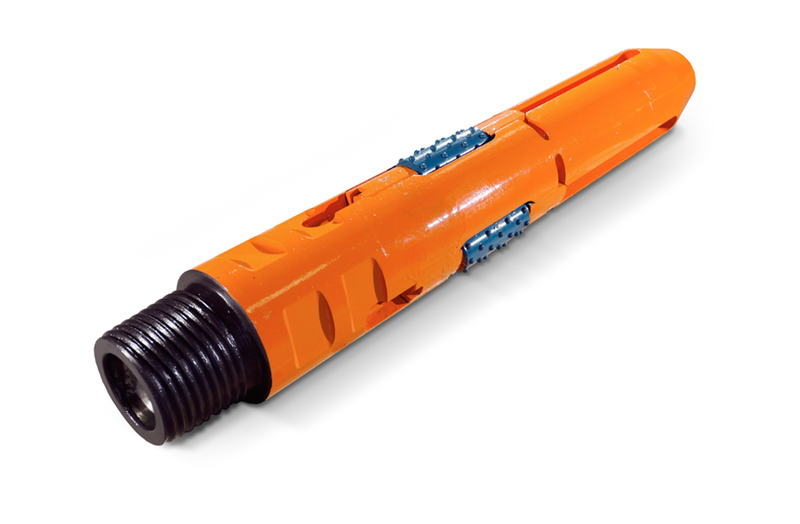 The pilot hole serves as a guide to ensure that the reamer maintains the correct course as it is raised, creating a larger opening for the hole. We work in an industry where safety is the most important thing for you and your operators; that’s where raisebore can really pay off. The drill and blasting technique creates vibrations capable of causing microfractures that compromise the integrity of the rock at the mine site. This type of issue can lead to unsafe working environments for you and your employees. Raisebore provides a hole similar to the one you would get from drill and blast. The main difference is instead of using explosives, this process uses utilizes rotational abrasion to create the opening and leaves the integrity of the surrounding rock intact. Raisebore can be used to create openings between levels that can be used for muck movement (transferring waste from a development heading to a fill location on the level below). If the hole is sufficiently large and can be either bolted or shotcreted, it can be used as a manway between levels. Creating these pathways requires tremendous amounts of torque and thrust to move between the drilling machine and cutting head. 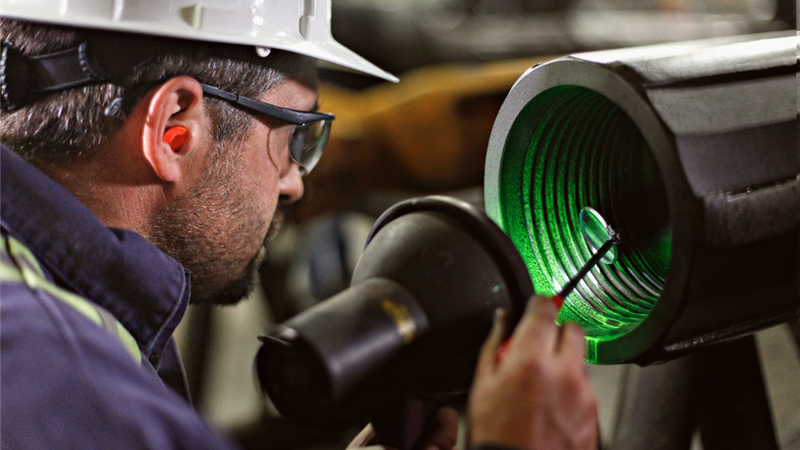 When components are required to operate in stressful conditions it is important that they can withstand the pressure and continue to operate at an optimum level. Drill strings play a vital role in the success of any raisebore project and are a large capital investment for a raisebore drill owner.The raw material used in Joy brand raisebore drill string has a higher quality specification resulting in a product that is reliable, durable, efficient and able to last longer. The interlocking design of this product also ensures that the connection between pipes is maintained without being overtorqued. Komatsu has been involved in the design and development of the threaded connections, material specifications and manufacturing of raiseboring tools, since the first raiseboring machines were built in the 1960s. The company provides customer service and support to its valued customers that can extend the life of its products and reduce your operating costs. Repair services are available at a number of Komatsu locations around the world.